It will make your journey so much easier since you don’t need to hold the baby the whole time on your lap. Pets – Who Is Looking After Them? 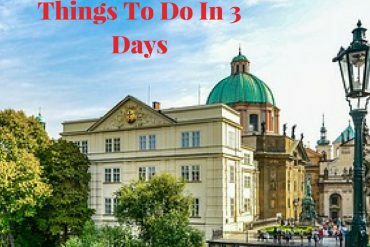 There are so many things that you have to keep in mind when you plan your vacation. It can be quite overwhelming especially if you travel with one or more children. I highly recommend to plan ahead and create a Travel Planning Guide/ Checklist of what you need to organize before you go on your well-deserved vacation. That may change depending on whether you are traveling abroad or domestically. If you go through the list below it will give you a good overview of things you can add to your personal to-do-list. I have also divided this guide into three different timelines to make it more practical for you. First and foremost check if your passport is still valid! Otherwise, you better get it sorted! For most travel destinations children will require their own passports which are usually only valid for five years. Check if you need a visa for your travel destination. In most countries, you can stay for up to three months on a visitor’s visa. Another important thing to keep in mind is that your passport is still valid for at least 3 months beyond the length of your stay. For example, if you are going to Europe in July and plan on leaving in August, your passport needs to be valid until November the same year. If your passport is due to expire in October, you could be in trouble. If you are organizing everything by yourself, a Flight Search Engine (such as Jetradar) is a good way to start. I personally use a travel agent though, because I have found it too complicated to book multiple flights including layovers etc. by myself. I tend to book at least six to nine months in advance to get hold of the best possible deals. Getting great deals is probably one of the most exciting parts of the planning process. If you are flying with a baby, enquire with the airline about the use of bassinets. These are suitable for children under two years of age who don’t exceed a certain weight. Your baby can sleep or just lay in there. When you arrive at your destination, the best way to get around is often by car. Choose a roomy, comfortable vehicle with lots of storage space for your luggage. Our recommended car rental company is CarRental8. So where would you like to stay? In a hotel, an apartment, or a holiday home? The choice is yours and depends on your personal preference. I prefer to stay in an apartment or vacation home where possible. It feels just like being at home. Please book well in advance to get the best options at the best prices. Now it is time to think about what travel luggage you will need for your upcoming trip. When it comes to luggage, in most cases I prefer spinner suitcases on wheels to backpacks. I find suitcases easier to pack and easier to handle – it’s that simple. Since the airlines have weight restrictions (between 23kg and 33kg) on luggage, I also choose textile suitcases because they are so much lighter. In my opinion, they are just as sturdy as the hard shell version. Besides the check-in luggage, I also take a carry-on luggage to have essentials like a set of changing clothes, warm socks and a blanket for the plane, and smaller items for my kids on hand. Children from the age of three can carry their own little backpack as well as pull the smallest trolley case as carry-on luggage. You will be surprised at how much you can fit into these little suitcases. Related posts: My Top Travel Luggage for Cool Boys and The Best Travel Luggage for Girls. This way they can pack they favorite toys, a cuddly blanket, and some clothes on the plane. From the age of ten, they could even carry/roll a medium sized (24inch/61cm) trolley case. If the country you are traveling to requires some sort of vaccination, e.g. Malaria or Hepatitis, now would be a good time to make an appointment with your doctor. A First Aid Kit is a must-have in your hand luggage. You can buy lightweight kits, or you can put your own kit together. I prefer the latter since I think there is not a lot you need. My personal first aid kit contains plasters’, gloves, a thermometer, and a few natural remedies. Before you go on vacation, you should obtain travel insurance which will cover your medical expenses when you travel to another country. Most travel insurances are very comprehensive. It also covers lost or stolen luggage/items, hospital costs and other crucial things that could costs you thousands of dollars. It is important that you read the terms and conditions and review what is not covered by the policy. The great news is that children are usually included in the policy at no extra cost. More information about travel insurance and why it is so important to have is covered in my post on How to buy the best family travel insurance. The most widely accepted and therefore used Credit cards are Visa and Mastercard. You can’t go wrong when you choose either of them. Check with your bank what the fees are for foreign transactions. The best option usually is to withdraw money from an ATM rather than going to a money changer. Important note: Let your bank know that you are going abroad. Otherwise, they might put a hold on your card when you are using your card in a different country. It happened to me while I was in Vietnam years ago. You can imagine; it is not a good feeling if you can’t access your money. When we traveled to Europe last year, I used a multi-currency cash passport for the first time. It is a prepaid Mastercard which is double protected by a chip and a Pin number. The best feature is that you can preload the card with up to five different currencies; some even offer up to nine currencies. 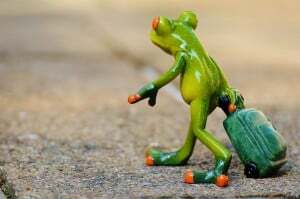 That way you lock in the exchange rate before you go on a holiday. As far as I know at this stage (April 2016) this multi-currency cash passport is available in the United States, United Arab Emirates, Australia, New Zealand, Brasil, Japan, UK, Malawi, South Africa, and Zimbabwe. 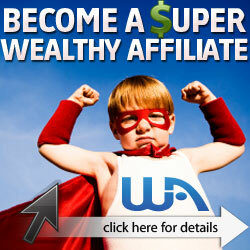 If you like more information about this cash passport, please check this site. Do you have pets at home? If the answer is ‘yes’ then you’ll need to make arrangements for looking after them. You may have a relative or friend who is happy to take care of them. If not, you may need to get in touch with a ‘dog&cat’ motel or pet sitter. The time is getting closer to your vacation and everyone is getting excited. 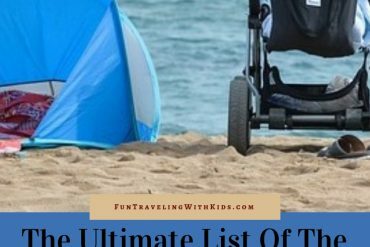 Please read our post The Best Travel Gears For Babies And Toddlers for more ideas. Before it gets hectic, get all your documents together like travel insurance, passports, flight tickets, maybe some cash in the required currency, contact details for the booked accommodation, and details for your rental car. Related post: 17 Must-Have Travel Accessories For International Travel. Make sure to make photocopies and put them in a separate folder. Whether you are going by car, train, bus, or plane – it pays to get some travel activities ready to keep your kiddos entertained. That could be a simple game like ‘I spy’, a few audiobooks, some books, or crayons plus paper for some doodling. Don’t go overboard and keep it fairly simple. 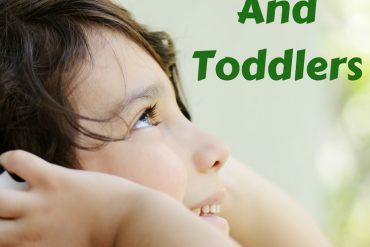 It really depends on your child’s personality and how active they are. I have written a couple of posts that will give some ideas on what you could do and bring for your next trip. I do hope my travel planning guide will help you to get ready for your next family vacation more relaxed and well prepared. Here is the link to print the guide or download as PDF. How are you planning your trip? 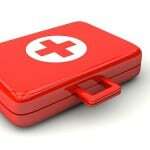 What is the one single item you have to have in your first aid kit? What credit card do you prefer to use? omygosh you saved my life today LOL. We are leaving on a family trip to europe and i totally forgot to call my credit card company. thank you so much for this post!